PM7: Register and get 20 USD bonus worth of PM7 tokens! PM7 is a decentralized innovative affiliate marketing platform, designed to radically change the advertising world for online and offline projects. And their main idea is to reduce the distance between the project creators and their customers. How? By eliminating mediation of advertising, marketing and PR agencies. Also by allowing all participants in this process to create progressive and world-changing technologies. So it’s an affiliate marketing platform brought to a new level thanks to decentralization and transparency based on the blockchain technology. 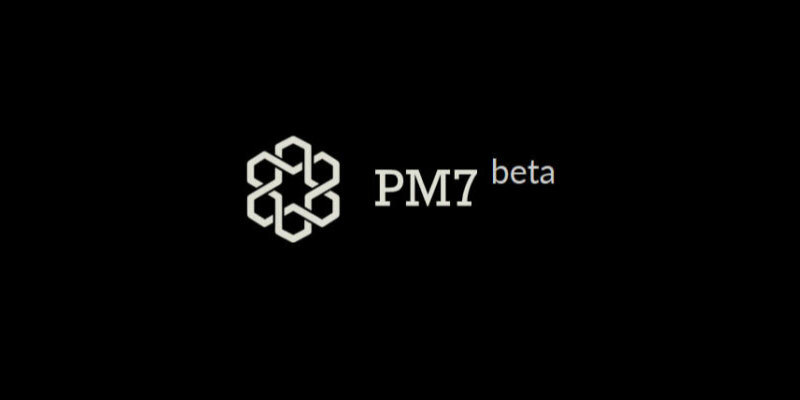 PM7 starts as a token, like with most projects. And later on it will become a hard virtual currency (using their own terms here…). Because the company plans to use it first for to fund the projects on their platforms. And after as a payment method for the services available on the platform. PM7 tokens are digital tokens based on the ERC-20 standard. And a total of 1,000,000,000 PM7 tokens will be released. How to get the free PM7 tokens? Indeed, if you register on their website, you’ll get 20 USD for free. And then you can buy the equivalent amount of tokens from this free dollars. So, basically, you get 400 free PM7 tokens when you sign up! In order to sign up, click on this link. And click on Sign In in the top right corner of the screen (yeah, it’s a bit confusing…). On the new page, click on the Sign Up tab and fill in your email address and password. And click on the Sign Up button, obviously. While you can already see your 20 USD balance in the member area, I’d recommend you to complete your registration by clicking on the link received by email! That’s it, you’re now the proud owner of 20 USD. And you can now start getting more and more free tokens. Because there’s a very complete bonus program. Indeed, this is an affiliate marketing platform… So, they’re using the power of affiliate marketing! The more of your family and friend register, download the app or buy tokens, the more money you’ll earn. PM7 is a decentralized innovative multi-level affiliate marketing platform. To raise awareness during their ICO, they're giving away some good old dollars.